Gansbaai – Goose Bay when translated from the Afrikaans, is a wonderworld of rugged coastline featuring caves, coves and limestone rock formations, where whales come and flaunt themselves very close to shore. But geese, peculiarly, are no longer a focal point in their namesake town. Early Days at Gansbaai – With the Geese! A small band of nomadic fisherfolk made Gansbaai their home in the early 1880’s. They settled on an awesome coastal stretch called “Strandfontein”, or Fountain on the Beach, where a freshwater fountain delivered good drinking water beside the present harbour. This fountain was the gathering ground of wild geese, which soon earned the place the name of Gansgat, or Goose Hole. In time, Goose Bay became the more appealing variation. You can still see the fountain, and its plaque sporting the town’s founding story. The early Goose Bay community were fishing people. They built the area’s first fishing cottages under Milkwood trees in a secluded cove at what we now call De Kelders. 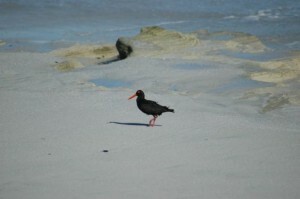 Gansbaai is a land of wonder for nature-lovers. Hike from Gansbaai harbour to the awesome Klipgat Cave inhabited by man at least 80 000 years ago. 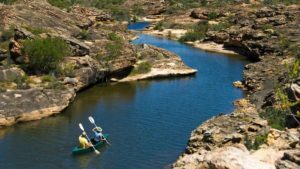 Follow the Klipgat Trail – a wonderful nature walk passing several caves, rocky outcrops and coastal limestone vegetation. There are rockpools on the shores of Danger Point Peninsula and long white beaches starting at the mouth of the Uilkraals estuary of Franskraal where birders love to go. The beaches are strikingly unpeopled from Franskraal to Pearly Beach, Buffeljagsbaai and Quoin Point. 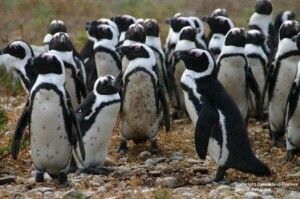 Sea birds are plentiful, and nearby are Dyer Island and Geyser Rock, home to masses of Cape seals and African penguins. Experience the coastal magnificence of Gansbaai and De Kelders when staying at Grootbos Private Nature Reserve. 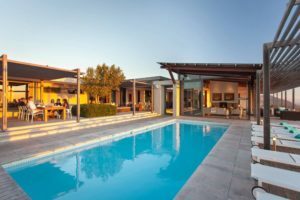 Grootbos is a five-star nature getaway set up on a hill in a fynbos reserve above Walker Bay, and very close to Gansbaai. 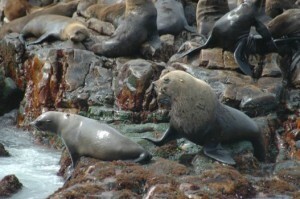 Grootbos offers many wonderful activities, including marine excursions at Gansbaai. 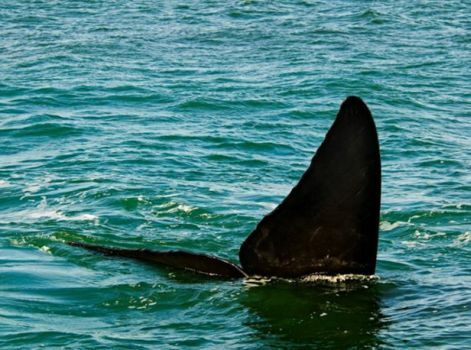 Take a whale watching boat cruise in Gansbaai to watch pods of dolphins and Southern Right whales showcasing themselves in the waves, or a great white shark going after its prey. The cruise also brings you close to seals and penguins in the zone between Dyer Island and Geyser Rock, also named Shark Alley because it’s one of the best shark cage diving spots in the world. 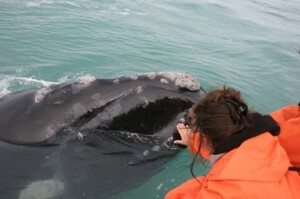 Land-based whale watching is also excellent at Gansbaai. 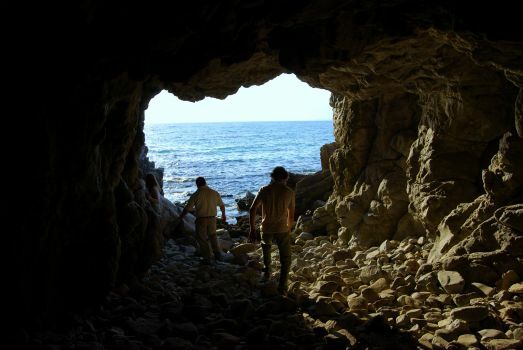 Grootbos guides will also accompany you on the walk that features the pre-historic Klipgat Cave. Additionally, there’s horse riding, forest walks amongst old Milkwoods, fynbos drives and birding tours. Mail us to book or call 0860 102 907 / +27 21 797-7122.